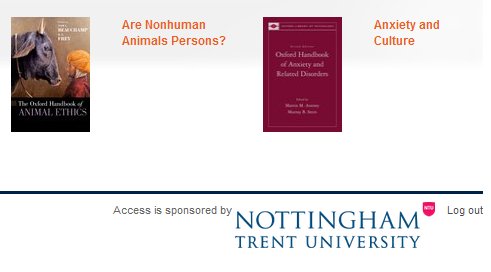 Off campus access issues for Oxford University Press ejournals. There is currently no off campus access to Oxford University Press ejournals. Signing in via your institution results in the following error page. This is currently being investigated by the supplier. On campus access remains unaffected. Posted in OUP ejournals on May 2 2018 by eSystems Team. Oxford University Press have now resolved the issue of certain chapters from their e-books not downloading. The PDF generator was timing out before delivering the pdf which resulted in the error message. Posted in eResources, Outage and service issues, Oxford University Press on February 23 2018 by eSystems Team. 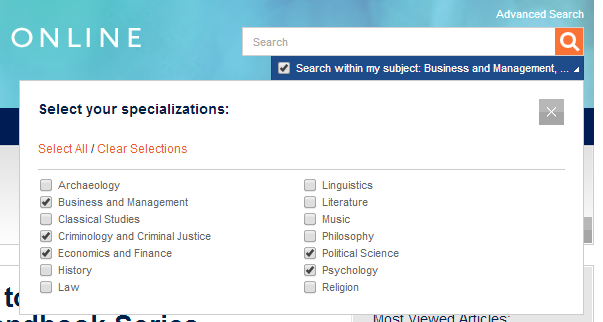 Now that the library is able to provide persistent deep-links to individual titles in the Oxford Handbooks Online collection which work from both on-campus and off-campus locations, individual catalogue records for each of the 244 subscribed titles have been made available in Library OneSearch. For more details on this collection, see the earlier post from August. Posted in Oxford University Press, Shibboleth on October 7 2014 by Resource Discovery and Innovation Team Manager. Posted in eBooks, eResources, Oxford University Press on August 12 2014 by Resource Discovery and Innovation Team Manager. Access to the Oxford Dictionary of National Biography is now direct on-campus and by university username and password (using Shibboleth) off-campus. Links and prompts in eSearch have been updated accordingly. A guide to using Shibboleth authentication on the DNB has been added to the eServices Support wiki. Posted in Oxford University Press, Shibboleth on August 27 2009 by Resource Discovery and Innovation Team Manager.